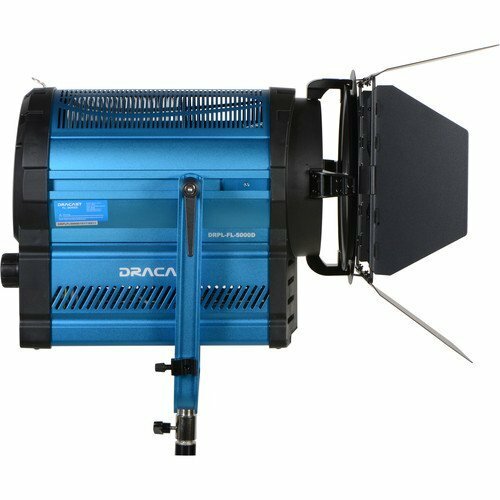 Focus and control your light with this LED5000 Daylight LED Fresnel Pro with DMX Control from Dracast which features 5-pin XLR input and output for full DMX512 support so that users can remotely adjust settings on the fixture from a standard controller. 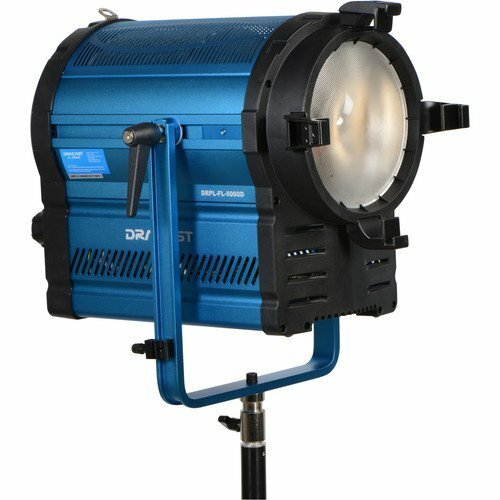 The light is projected from a powerful LED source with a CRI of 95 for accurate color rendering and the fixture offers a fresnel lens that allows users to focus the beam from 15-60°. 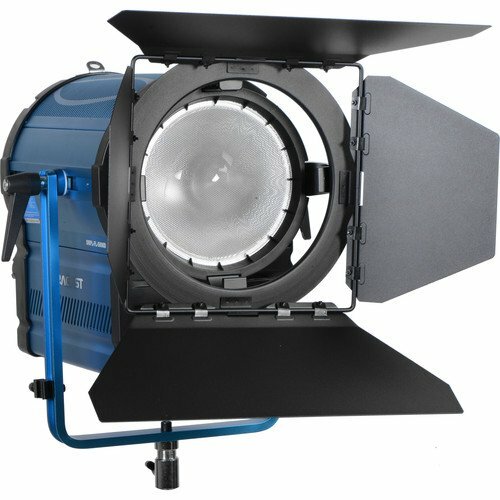 This daylight-balanced model offers a 5600K color temperature which allows you to easily balance the fixture with natural light sources. Also, for direct control, users will have access to an LCD touchscreen and control knobs to adjust settings, including dimming from 0-100%. 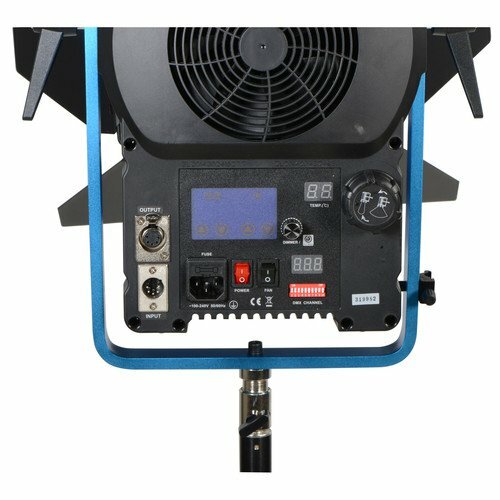 The LED5000 is easily mounted onto stands using its yoke with 5/8″ receiver and it comes with a universal 110-240 VAC power supply for operation worldwide. 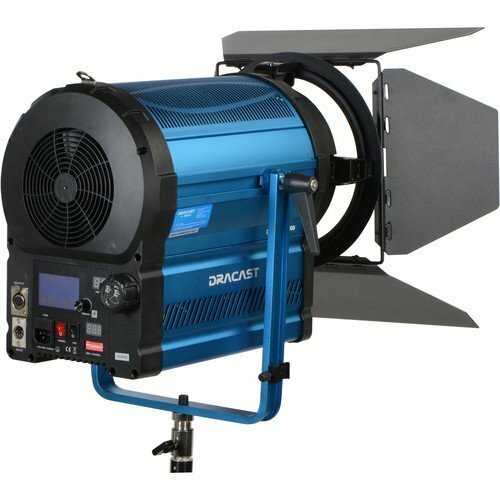 Additionally, it has a hefty aluminum construction for durability and comes with a set of 4-leaf barndoors for light control. Box Dimensions (LxWxH): 24.25 x 19.75 x 19.0"